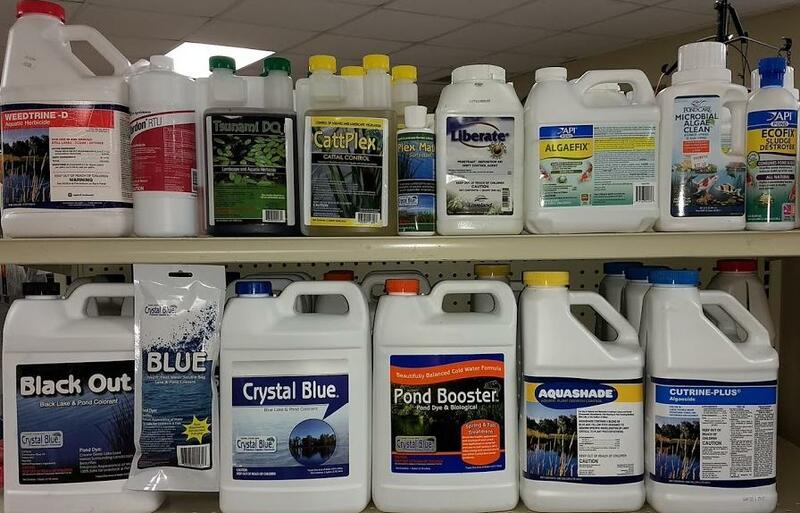 For your pond care needs, we stock several varieties of treatment programs, including: Crystal Blue Aquatic Program, Aquashade, Cutrine plus, Barley Straw, and Weedtrine. Since algea and pond weeds react to different products, bring us a sample of the plant to get the correct products. Let us help you achieve a pond that is enjoyable all summer long! For feeding the fish in your pond, we stock the Aquamax fish foods that are designed to feed a variety of species and are formulated for optimum nutrient delivery. These products are 100% nutritionally complete diets developed by professional nutritionists and fish experts. Easly-digestible, high-energy, high quality protein, nutrient-dense diets for providing you with the best opportunity to grow big fish! Aquamax is available in starters and growers, in different sizes, sinkers or floaters, omnivorous and carnivorous. We look forward to working with you for your pond care and fish feeding programs.